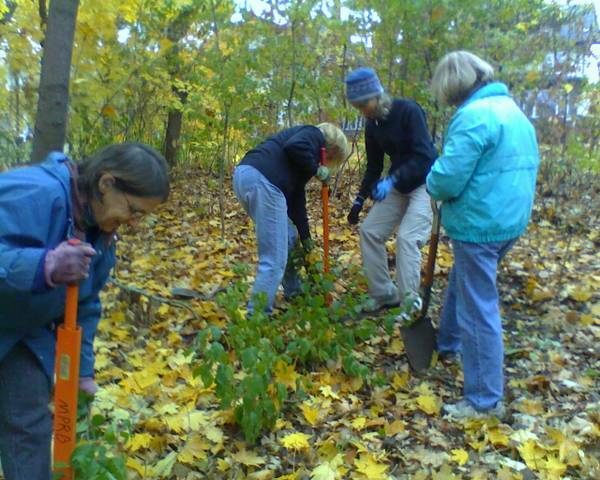 Join us in removing Buckthorn from the parkland between Lynnhurst Park and Lake Harriet. There are a variety of tasks and all are welcome. Registration is necessary to ensure sufficient equipment. Where: Meet at the bridge over the creek at 49th street. Do you know how easy it is to juice up your recycling? Load it up? And milk it for all it’s worth? More waste items are recyclable than ever before! Juice and milk cartons can be recycled, along with yogurt cups and deli containers. Also make sure to check your laundry room and bathroom for recyclable items – laundry detergent jugs and boxes, shampoo and lotion bottles and toothpaste boxes are all recyclable. Of more than a million tons of garbage thrown away each year, we only recycle 40 percent. We can do more – help the county reach our goal of recycling at least 50 percent of all waste by 2015! If you’re still not certain how to recycle some of your stuff, get answers from our expert staff by connecting with us on Facebook, Twitter, email, phone or chat. Learn more about what you can recycle and get all of your recycling questions answered at RecycleHalf.com. Shopping reuse gets you great deals on quality products, plus it supports local businesses, protects the environment and is a key way to reduce the more than one million tons of waste that is generated in Hennepin County each year. Don’t know where to start? Hennepin County is partnering with local retailers to offer free Choose to Reuse coupon books valid from October 1 through November 30, 2013. Use your Choose to Reuse coupons to buy used books, music, clothing and accessories, rent party equipment or costumes, get new-to-you sporting equipment, and find antique or used furniture for your home. Get Choose to Reuse coupons on your smart phone or tablet by downloading the Chinook Book app. You can also pick up Choose to Reuse coupon books at participating retailers, Hennepin County Service Centers, Hennepin County libraries and all Three Rivers Park District locations. For more information, email Kristin Pierskalla or call 612-348-4787. GreenNotes covers environmental news, programs and events from Hennepin County. Join fellow waste reduction enthusiasts and become an advocate for the three Rs in your community as a Hennepin County Master Recycler/Composter. Master Recycler/Composters are trained volunteers who work to reduce waste generation and increase public awareness of opportunities to recycle and compost. The fall course will be held on Tuesday evenings, October 1, 8, 15, 22, 29 and November 5 from 6 to 8:30 p.m. at the Three Rivers Park District Administrative Center, 3000 Xenium Lane North in Plymouth. Optional field trips will be held on Friday, October 11 and Friday, October 25. Learn more and register now! For more information, email Carolyn Collopy or call or 612-596-0993.